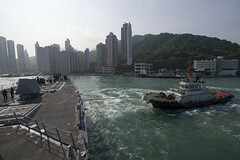 The guided-missile destroyer, part of the Sterett-Dewey Surface Action Group, arrived in Hong Kong for a port visit, April 29. 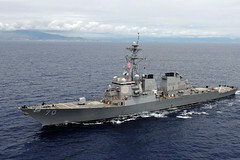 The guided-missile destroyer is scheduled to arrive in Homer, Alaska, April 29 for a port visit ahead of the biennial joint training exercise Northern Edge. 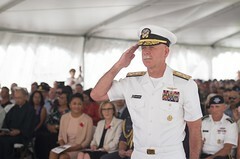 U.S. Pacific leaders gathered to commemorate Australia and New Zealand Army Corps (ANZAC) Day at the National Memorial Cemetery of the Pacific, April 25. 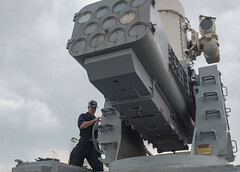 The littoral combat ship successfully fired a SeaRAM missile against an aerial drone, destroying the target in a test off the Southern California coast, April 22. A Helicopter Maritime Strike Squadron (HSM) 78 crew was safely recovered by USS Dewey (DDG 105) after their MH-60R Sea Hawk helicopter crashed in waters near Guam, April 27. Japan Air Self-Defense Forces and aircraft from Carrier Air Wing 2 are conducting combined aviation exercises in the Philippine Sea. 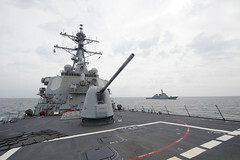 The exercises are taking place in waters both west of the Korean Peninsula and west of Japan, April 25-26. 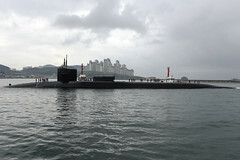 The Ohio-class guided-missile submarine arrived in Busan, South Korea, April 25, for a routine visit. 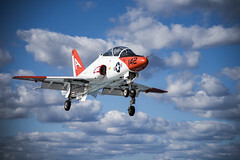 The Navy today announced it is conducting a comprehensive review of the facts, circumstances and processes surrounding the recent physiological episodes involving T-45 and F/A-18 aircrew. 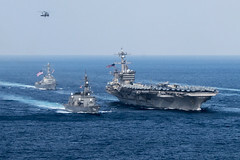 The Carl Vinson Carrier Strike Group and Japan Maritime Self-Defense Force (JMSDF) began an at-sea bilateral exercise in the Philippine Sea, April 23.